This is the very best work of a VERY good cartoonist. 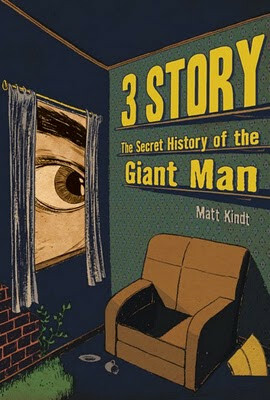 I was fortunate enough to read an earlier draft of this stunning graphic novel by my good friend Matt Kindt. I loved it then, and I love it now even more. Matt may be too close to see it himself, but I can see all the love he has for his wife and daughter poured into these pages. What else can you say about this book that hasn't already been said. Mazzucchelli's career has been amazing, co-creating some of the best "mainstream" comics of the last 25 years with Daredevil Born Again and Batman Year One. And his Rubber Blankets was a huge influence on me when I first started cartooning. He is a master of the medium, and AP his masterwork. Speaking of the best work of a great cartoonist...I love Clyde Fans, I love It's A Good Life...and I Love Wimbelton Green. Having said that, GEORGE SPROTT trumps them all. Seth is clearly one of our finest living cartoonists, and he is firing on all cylinders with this gorgeous oversized account of the melancholy moments that make up a man's life. It also drips with small town southern Ontario nostalgia, something I can't resist. Darwyn Cooke is really, really good isn't he? This book is so hard to put down. The art is gorgeous, the cartooning impeccable. I can't wait for more Parker. This is a strange, haunting and beguiling book. I can't explain it, nor do I want to. It just needs to be read and experienced. Lilli Carre is a wonderful cartoonist with her own, truly unique voice. When I read this it reminded me a lot of some of the themes and moods I was trying to capture in Tales From The Farm, and I loved it. NIIMURA's expressive scratchy art is brilliant and I was genuinely moved by Kelly's script which knew when to be big and loud, and when to be quiet and restrained. The best monthly comic being produced right now. 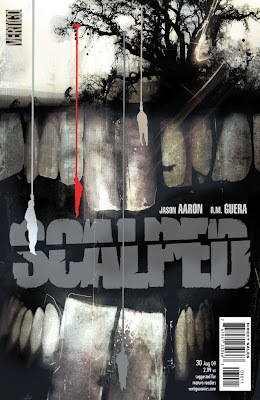 Scalped is in a league all of its own, and it just keeps getting better and better. Jason Aaron solidifies himself as the best writer to emerge from the "big two" in a long, long time. I've been a devoted fan of Sean Phillips since his stunning run on Hellblazer with Paul Jenkins. But he's never as good as he is when he's drawing a Brubaker script. They are one of those rare writer/artists teams that blend into a third, brilliant cartoonist when together. Ingognito is an addictive pulp mash-up. A bit lighter than the also excellent CRIMINAL, and a hell of a lot of fun. My favorite web comic. 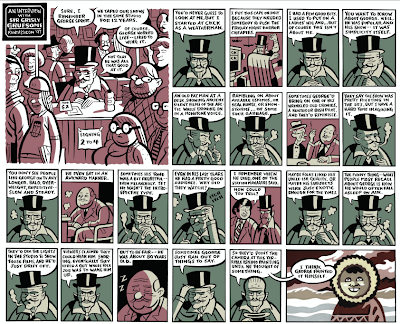 Portlander Emi Lennox's two-tone comic memoirs are whimsical, clever and very engaging. She's one of the brightest young cartoonists I've come across in a long, long time and if Emitown is any indication of things to come, she'll be making a lot of new fans very soon.